Explore garden finials which are not too large that they take away attention from the rest of the garden with this accent created from cast stone. 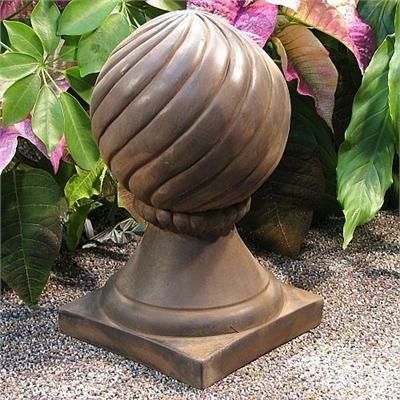 The sculpture highlights a ball finial that is available in other finishes to suit your needs. Click to view concrete finishes.